You know you’re a “team” parent when . . . you have an entire section of your closet devoted to spirit wear. With four active children, team t-shirts have taken over my hangers and drawers the same way team activities monopolize my calendar and my checkbook. I grumble while buying them—but I am only too happy to wear them! 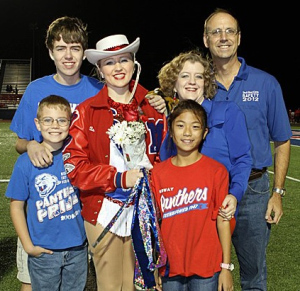 The uniform of choice for any spectator parent, spirit wear marks me as a busy but devoted mother.